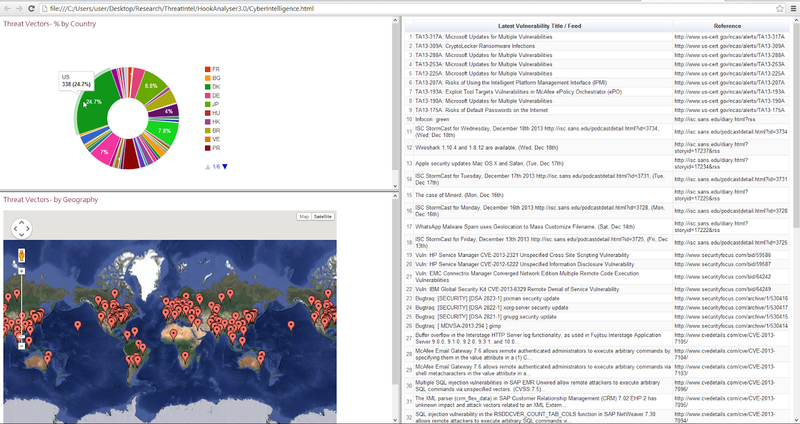 In terms of improvements, a new module has been added - Cyber Threat Intelligence. Threat Intel module is being created to gather and analyse information related to Cyber Threats and vulnerabilities. 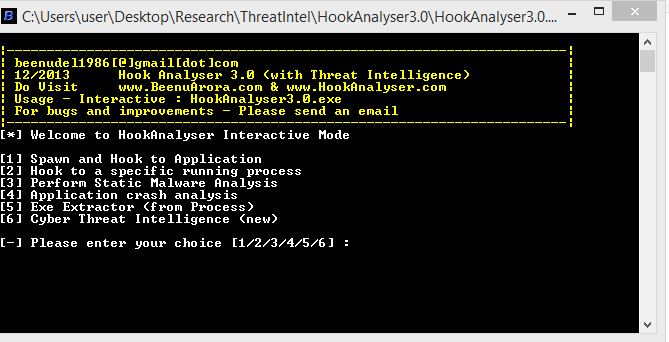 The module can be run using HookAnalyser.exe (via Option 6 ), or can be run directly.